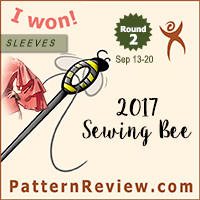 Since my sewing has been completely focused on skating costumes for others recently, I have very little to show, I thought I would continue my Skate Equipment review series so that I at least have *something* to talk about. My plan is to do a weekly skate-part review post until I have covered a majority of the skating equipment in reasonable depth. Last week I talked about wheels, so today’s post is the natural progression from there – today I will be talking about skate bearings. Like wheels, there are a number of different companies that sell skate bearings, and every skater seems to have their own preferences. I will admit up front I have a rather biased opinion and a very specific preference for bearings, so you may want to take my reviews with a grain of salt, although I will point out that I have come to my conclusions after many years of skating, so they weren’t come to randomly or without experience. Skate bearings are comprised of ball bearings inside of a casing, usually with a protective cover of some sort. They come in 7mm and 8mm sizes – the 7mm size is most often used for artistic skates, where the 8mm bearings are used for skateboards and outdoor skates. You need two bearings for each skate wheel – a total of 16 bearings for one set of skates. Most bearings are given an ABEC rating, and many people assume a higher rating indicates a better skate bearing, which is not necessarily the case. The ABEC rating deals with Tolerances, but won’t indicate how smooth a bearing rolls, or how long it rolls bearing weight. Like durometers in wheels – ABEC ratings won’t necessarily help you pick a better bearing or choose the best bearing between different brands. It is better to test the bearings and decide for yourself. Bearings, unlike skate wheels, can have a much longer lifespan if they are properly cared for and maintained. Skate wheels round, flat, wear down, and have to be replaced. If a skate bearing is cleaned (with acetone or alcohol), dried quickly (so as not to rust), and properly lubricated (ah, the debate over bearing lubricant is vast and varied – people have been known to use everything from WD40 to rifle lubricant to brand-name bearing lubes) then they can, in theory, last many, many years. Some people clean their bearings as often as every two weeks. I have to admit, I am very bad about cleaning my bearings, and whenever anyone else has cleaned them I notice a very sharp decrease in performance, even when compared to the dirty un-cleaned state. I recently acquired some Bones Speed cream lubricant and the Bones cleaning bottle system, and I plan to experiment with bearing cleaning in the near future. If/when I get around to it I shall do a how-to review post at that time. At this point when my bearings get old, I tend to replace them, but I am thinking/hoping that if I am a bit more proactive about my cleanings I can be a bit more cost-effective with my bearing habits in the future. I will come out and say that, without a doubt, Bones bearings are the best skate bearings available today, by far. I have been skating on Bones almost since I started, and any time I try anything else I am disappointed. For years I skated on the classic Swiss Bones, but lately I have fallen in love with the newer Swiss Bones Labyrinth bearings, which have an extra protective shield to keep out dust and dirt. You can see a full list of their product line here. All of these bearings are made in the larger 8mm size for skate boarders, but most are also made in the 7mm size for roller skaters. I have tried the Bones Swiss (fabulous), the Bones Swiss Labyrinth (even more fabulous), and the Bones Reds. I will say that a few years ago I tried some of the Bones Reds (these are made in China as opposed to the higher priced Swiss bearings which are, clearly, made in Switzerland) and I was not impressed. Recently I was able to try a newer set of Reds and they were AMAZING. Very fast, very smooth. 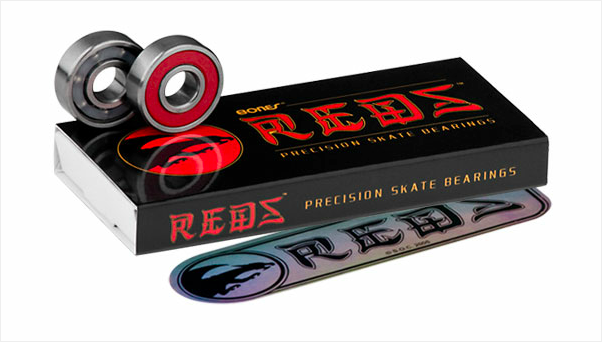 I think there have been some improvements made to the Reds line, and I would be confident in recommending these bearings as well as the Swiss bearings, though I will say that I do not have a good sense of how long the Reds last in comparison to the Swiss bearings. I have been known to wear the Swiss bearings for several years (at least in my figure skates) without a cleaning. They last forever – and the newer Labyrinth ones last even longer. I have been using some Labyrinth bearings for nearly a year, and they are just as silent as the day I put them on. Truly, I cannot say enough good things about these bearings. I will say I had the opportunity (once) to test out another skater’s set of ceramic bearings. They were nice, but I did not notice a drastic enough difference from my regular Bones Swiss to justify the extra expense (the ceramics are 2-3 times more expensive than the steel bearings). You can read about why the company shuns ABEC ratings here, and about how they have developed their products over the years here. Pros: Excellent bearings, simply the best. They roll smoothly and fast right out of the box, they last a long time, and they are available at many price points (you can get Reds for about $40, Swiss around $75, while the ceramics are over $200). The company is dedicated to making great skate parts, and I have been extremely satisfied with the quality and consistency of their products. 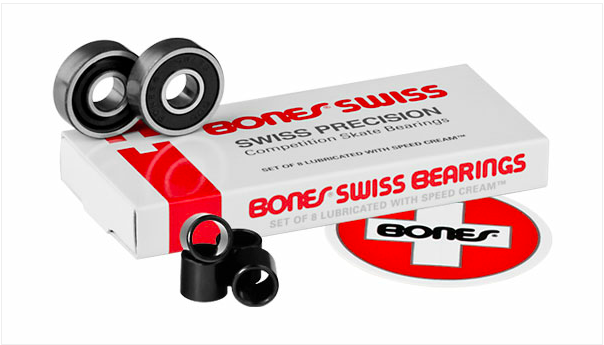 Cons: Many people will complain about the price of the Swiss bearings, but I really feel that you get what you pay for – I haven’t found another bearing that rolls as smooth or lasts as long as the Swiss. If the price is such an issue you can always go with the lower priced Reds. Also, I have heard that some freestyle skaters damage the bearings from falling so often or landing jumps with so much force. However, I think that other bearings would also have similar problems dealing with these stresses, and I would definitely NOT recommend ceramic bearings to freestyle skaters because of this. These problems might also be lessened by rotating the bearings (or wheels) more frequently so that the stress or landing is not placed so heavily on the same bearings over a long period of time. Figure and dance skaters do not have these problems because they are not constantly applying forces at weird angles to the bearings. Also, I have noticed that many people don’t list the bearing size (7mm vs. 8mm) when selling these on the internet. You have to be very careful about what you are buying in terms of size, style, and quantity to make sure you get what you want. Also, it can be difficult to get some of the varieties from the local skate shops – the standard Swiss and Reds seems to be in stock often, but I haven’t had much luck getting the Labyrinths anywhere but the internet, and most people look at me like I am crazy when I start raving about them. Qube bearings are the other big name is skate bearings. I know several people who have been using them for the past few years and seem to like them, although I thought they felt slow compared to my (old and dirty) Bones Swiss. I have (briefly) tried a set of the ceramics and 8-balls, and did not notice a discernable difference between these bearings, although I thought both were slower than the Bones Swiss. Overall I was not impressed, though I have heard that these bearings do tend to last for a long period of time. Pros: Cheap. You can get a set of the lower end (Juicy) bearings for about $25 and a set of ceramics for a little over $100 (half the cost of the Bones). And I have heard that these bearings last a long time and are easy to clean. They are also fairly easy to find on the internet and at skate rinks and are usually labeled with the size to make for easy ordering. Cons: Not as fast as Bones. I think that is my complaint about every bearing company that isn’t Bones. Also, apparently some of these come packed in grease, instead of coming pre-lubricated. You might not be able to use these bearings right out of the box, and instead have to clean and lubricate them before a first use. I am lazy and spoiled, and this seems like too much work when I compare it to using Bones bearings which come ready to work. Fafnir: Fafnir is a German company that still makes bearings, but they no longer make skate-specific bearings. When people gush about Fafnirs they are usually referring to bearings from the 70s and 80s that were the ultimate in skating parts. Some people still have a set that over 30 years old but is well maintained and they claim it is faster and better than anything on the market today. Pros: This is apparently the best skate bearing that ever existed. Cons: They are no longer produced, you can’t buy them, and anyone who has a set isn’t willing to sell them. I have seen some, but never used any. They are spoken of in reverent hushed tones, as one would discuss a much-missed deceased relative. Roll Line: Roll Line has their own set of bearings (the Carbon J) and used to have another set called the “Micro Mini” bearings. I have tried both and liked neither. They felt incredibly slow and not as smooth as the Bones or even Qube bearings. Pros: You can get them from the Roll Line rep and they don’t have a shield, which prevents damage to the shield and problems with the bearings. Cons: The shields prevent dirt from getting into the bearings and messing up the ball’s motion, so, in general, I would think not having shields would be a bad thing (at least on the super dusty floors I skate on). Also, for $75 you might as well get a set of Bones Swiss. Komplex: The Komplex wheel company has also been selling Komplex bearings. I was able to try some, and, while I found them to be slightly better than the Roll Line bearings and comprable to the Qubes, they still don’t hold a candle to the Bones bearings, and at the same price I see no reason to not go with the Bones. Others: There are various other bearing companies (such as Bevo, Kwik, BSB, etc) that offer bearings at various price points. I haven’t tried them, and I don’t know anyone who uses them. I do know someone who buys industrial bearings for $1 each and uses them in their freestyle skates because they seem to take a beating better than the Bones bearings. I have a set of these and while they are fine (better than the Qube bearings even) they don’t have the roll one would want in a dance or figure wheel. Also, because this is one of those things where “I know a guy who knows a guy” I can’t really point you in a specific direction because I don’t know the brand or where he gets them. I just know I have a set and I like to use them for resistance training because they are slow but not too slow. So, there you have it – my take on skate bearings. Clearly, you will have to pry my Bones out of my cold dead fingers before I will willingly make a switch to another brand, and even then I would be more willing to clean my old bearings than try to find acceptable new ones. Do any of the skaters out there have a preference? Are you all Bones junkies as well, or do you like to roll on Qubes or something else? Are you vigilant in your bearing cleaning practices, or do you (like me) use your bearings as they came out of the package until they stop rolling? Do you still swear by your Fafnirs? Feel free to discuss in the comments! 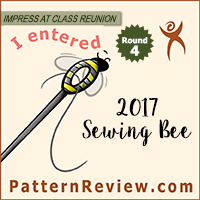 this review was extremely helpful to me. I've been rolling on the carbon J bearings (7mm) since getting new skates a month ago and have really noticed how slow these bearings are. Hard work on figures that's for sure. Thought it was just me so very glad to read your comments about your experience of them being too.